Getting fit is tough if you’re not fuelling your body with the right things. Veggies, fruits, protein and fibre are really important when you’re mapping out your workouts throughout the week. Do you plan your menus ahead of time? I’m so thankful for Bridget at Crosby’s Molasses. Not only does she have a great blog where she posts recipes (not all healthy, haha) but she also contributes recipes and commentary to KV Style biweekly. Note: One of my favourite soup recipes EVER came from Bridget. Last I heard it was being made for a great aunt in Pennsylvania! When Bridget heard I was committing to showing my face at the gym during the week – she offered up a 30th birthday (yes… that’s coming up quite soon) celebration meal plan! Thanks, Bridget! Now, who will volunteer to cook it for me? 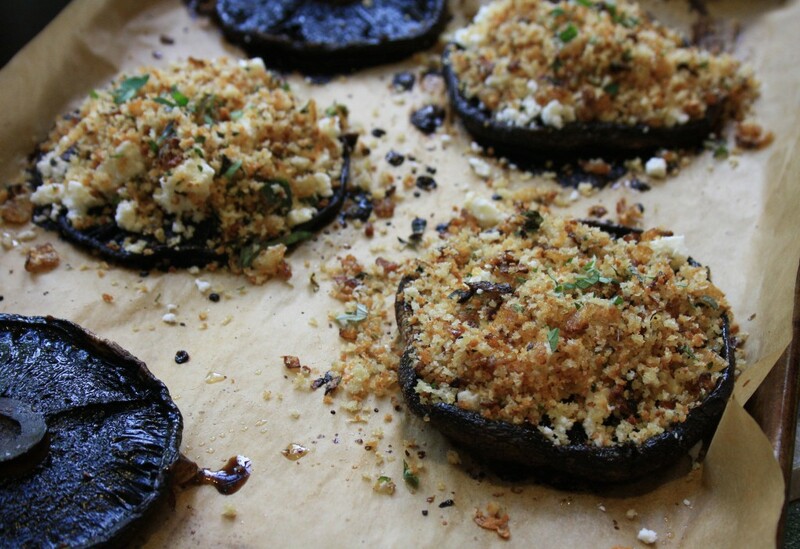 I’d make you the deeply delicious molasses glazed mushrooms stuffed with feta and herbs. They’re flavourful and meaty and can be paired with all sorts of yummy side dishes. As a side I’d make you a wild rice and barley pilaf. It’s full of fibre and flavour. I make it with hulled barley from Speerville Flour Mill. 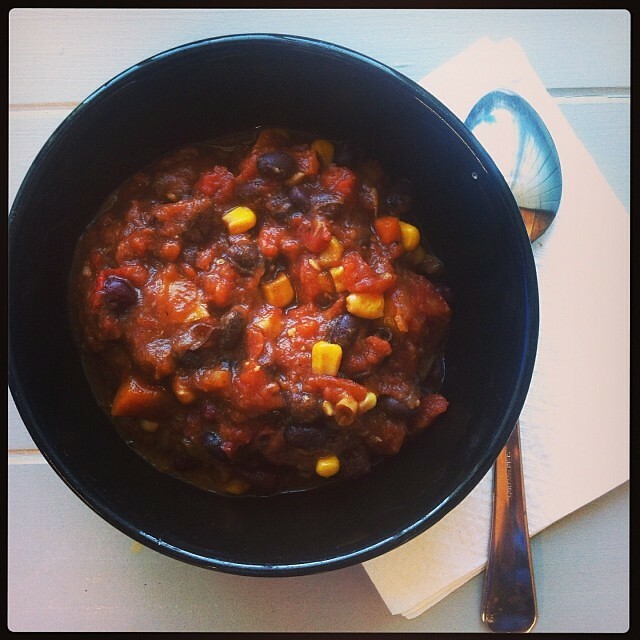 It’s way more flavourful and nutritious than pot or pearl barley. The dressing is full of aromatic spices so it’s a little exotic. 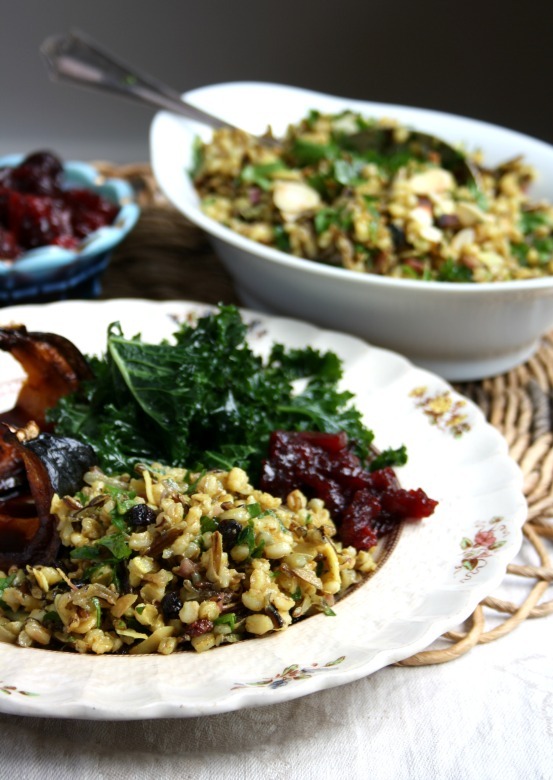 You could substitute brown rice for the barley. I’m all about loading up on fresh veggie sides this time of year after a winter of roasted vegetables. If you’re game for a beet version (my favourite) I bet you’d love my beet and carrot slaw with tart apple. So for dessert it’s a bit of a toss up. Would you want to be restrained but still have a delicious treat? Apple spice muffin cake. 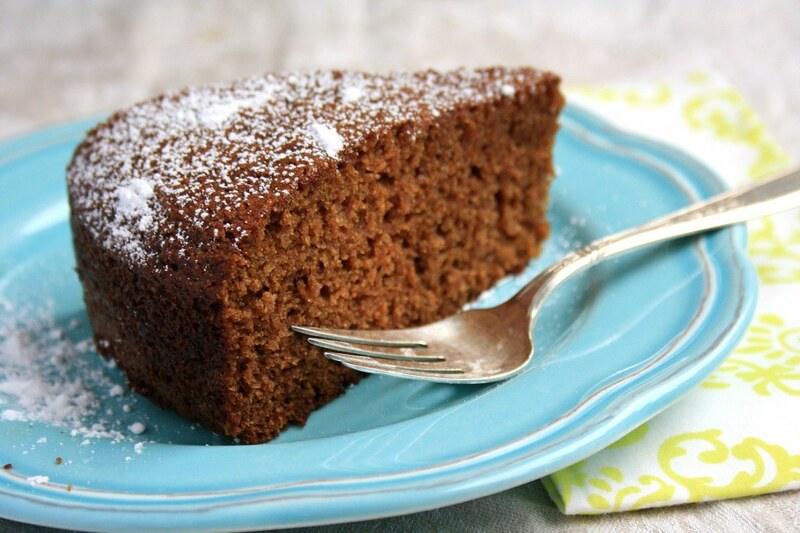 This is a lovely cake that’s not too sweet, includes applesauce and has a beautiful crumb (texture). If you have it I’d use half whole wheat pastry flour from Speerville Flour Mill. It adds so much flavour. Serve the cake with lightly sweetened Greek yogurt. So there you have it, a celebration meal for someone who has great reason to celebrate. I honestly can’t wait to eat that beet salad. YUM. I can’t even begin to tell you how lucky I am to have a partner that cooks for me. As previously mentioned, I am the worst cook in Saint John. AND, Adam is a master of home-cooked meals from weird ingredients in our fridge. I’m on the Weight Watchers program, which means that I have to count every tablespoon of food that I eat. Adam has been writing out recipes for me in case he ever hits the jackpot and I love what he’s made for me. 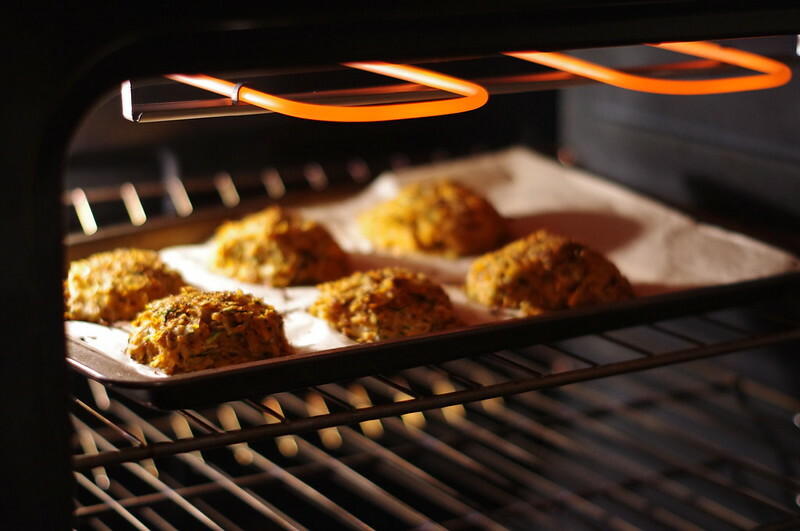 He NAILED IT with these potato and zucchini cakes. Grate vegetables & mix in lemon juice t prevent browning. Squeeze/press to drain well. Veggies should generate about 3/4 cup of liquid which can be discarded. 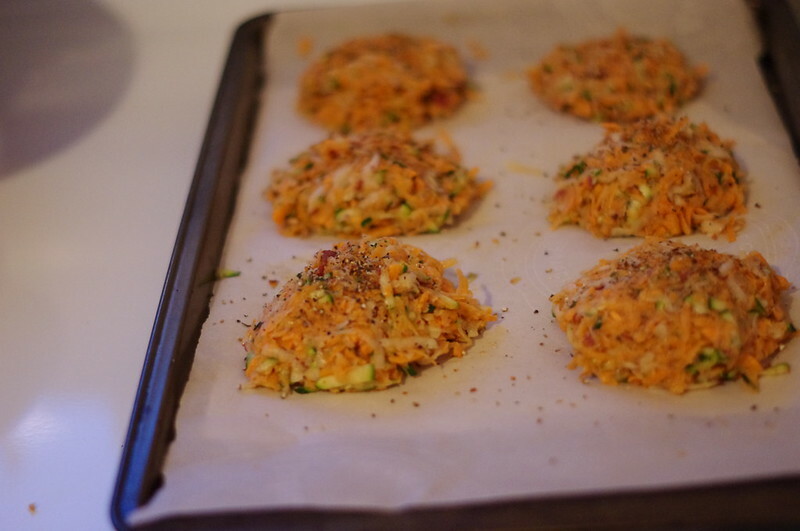 Form into patties on baking tray/parchment paper. Season tops with 1 tsp of harissa seasoning, salt & pepper. Bake at 350° F for about 40 minutes. Finish under the broiler. This will yield about 6 patties, adding up to about 1 point each. I would eat these every. single. day. I am, probably, the worst cook in Saint John. Onion, garlic, vegetables, oil… I have no idea how to combine them together to make a delicious meal. Since I’m on this 30before30 health kick, I thought I’d share some recipes straight from our kitchen courtesy of Adam & a pen and paper on the counter. Add in about that order. Brown onions a bit. Add the lime near the end. Simmer 5 hours or so. This will yield about 10 – 375 mL servings (which is a PERFECT amount for a bigger lunch!). Each serving is less than 300 calories and about 5 Weight Watchers points. (Not the new pts plus system, but the old Calories/Fat/Fibre system). Thanks, Adam, for recording what you were adding to the big chili pot!